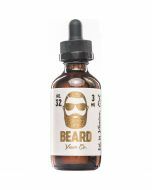 Bad Drip eLiquid Flavor: Fried Dough; Cinnamon-Sugar; Banana Pudding. Ugly Butter eLiquid by Bad Drip Labs. They don't call it ugly for nothing. Uncle Freddy's famous, fancy fried dough, showered with carnival cultivated cinnamon-sugar, serenaded with a cosby-quality banana pudding.